Dulux Perfect Finish Brush 1.5"
With Split Bristle Tips For A Smooth Even Finish. 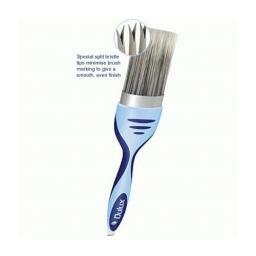 Ideal for small areas and precision details with flat bristles to help deliver a smooth and even finish. Specifically designed with some clever features to make painting as easy as possible. A handy tin opener at the bottom, split-end bristles help to deliver a brush mark free finish and an egonomic soft grip handle maximises comfort. 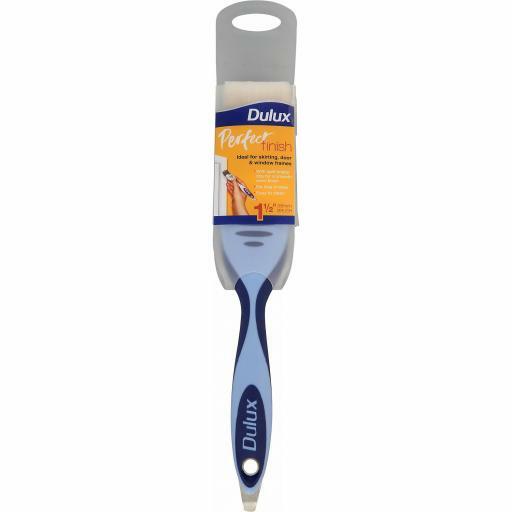 Dulux Perfect Finish Brush 2"
Dulux Perfect Edges Triangular Brush 1.5"
Dulux Perfect Edges Angled Brush 2"
Dulux Perfect Finish Brush 0.5"